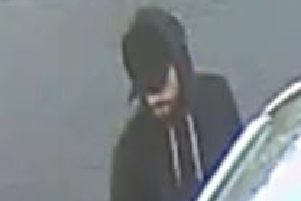 Police have released this CCTV image of a man they believe may have information about the alleged theft of fuel at the Shell Garage in Barton Seagrave. 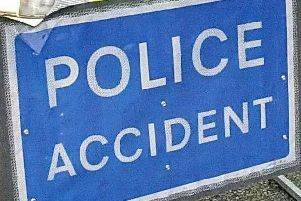 A cyclist was taken to hospital following a crash on the A43 near Northampton. 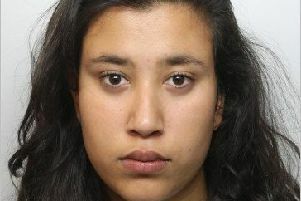 Police are appealing for help to find a missing 16-year-old girl from Kettering. 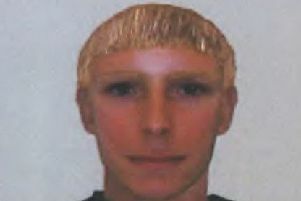 Police investigating a sexual assault in Mallam Drive, Kettering, last month have released an e-fit of one of the suspects. 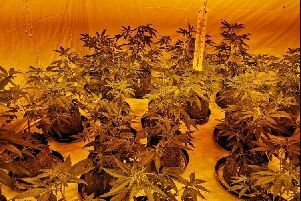 A sophisticated cannabis factory holding up to 90 mature plants was discovered when officers carried out a drugs warrants at a property in Glastonbury Road, Corby, yesterday (October 31). 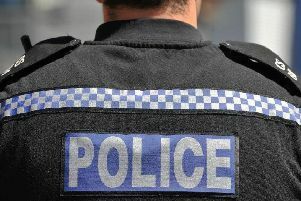 A van was stolen from the driveway of a property in Wellingborough Road, Broughton, after offenders broke into the house and stole the keys along with other items. 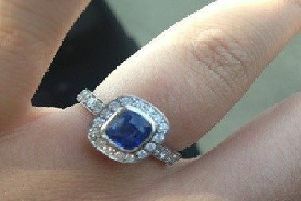 Rings were among the items stolen following a burglary in Durban Road, Kettering, shortly after 9pm on Monday, October 22. 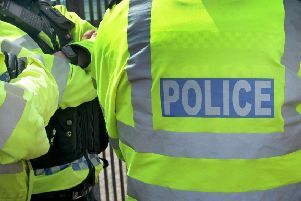 An 18-year-old man who was arrested in Wellingborough yesterday (Sunday) appeared before Northampton Magistrates Court this morning (29 October) charged with drugs and weapon offences. 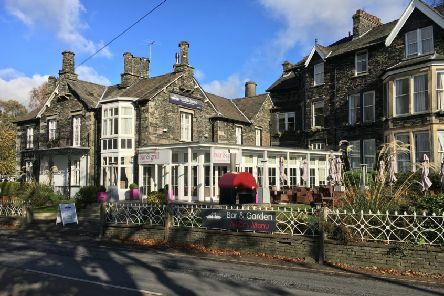 Two men who were driving a silver car and believed to have stopped to check on the welfare of a woman who was allegedly harassed by a man are being asked to contact the police. 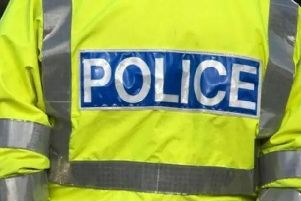 A man who was out walking his dog in wooded area of Colyers Avenue, Corby, was assaulted by a passer-by who punched him to the back of the head and threatened him with a piece of wood. 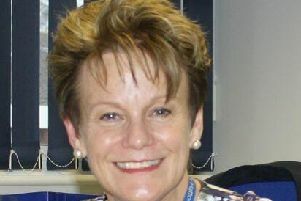 Hatton Academies Trust and Sir Christopher Hatton Academy in Wellingborough are asking for people’s views on their application for a new secondary school with sixth form in Moulton. 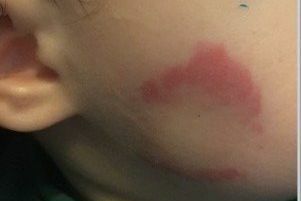 A 21-year-old man pleaded guilty to biting a one-year-old boy on the face when he appeared at Leicester Crown Court yesterday (Monday). 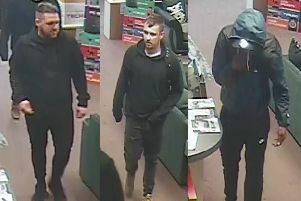 Police have released these CCTV images of three men they want to speak to in connection with an alleged theft from the Bright House store in Wellingborough. 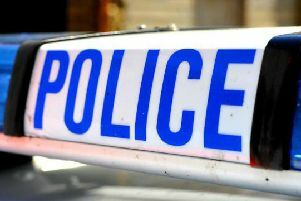 Police are appealing for witnesses after a series of distraction burglaries in Desborough and on Corby’s Beanfield estate. 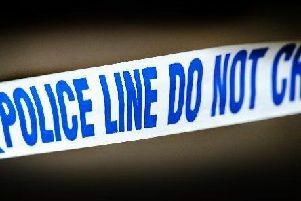 Offenders broke into a container on a building site in Weldon and stole building equipment.